Almost all of us have eaten olive oil, but do you know how wonderfully versatile it is? Not only are there enormous health benefits that come from adding olive oil to the diet, there are dozens of additional uses in skin care, hair care, soaps, and even cleaning and lubricating items around the house. Olive oil is a rich source of vitamins A, B-1, B-2, C, D, E and K, iron and Omega-9 (oleic acid;) as well as antioxidants. Extra virgin olive oil contains the most beneficial compounds, followed by virgin olive oil; and these are the only grades that should be used in foods or applied to the body if you want to receive the most benefit. Skin Care – Olive oil is a wonderful oil for use in massage oils or for moisturizing and the vitamin E it contains minimizes the severity of scars and stretch marks. It penetrates deep into the skin, and the antioxidants it contains help to repair and renew the skin damage caused by overexposure to the sun and modern environmental hazards like air pollution and fast food. Its anti-inflammatory properties also make it an excellent treatment for inflammatory skin problems like eczema and psoriasis. Hair Care – Olive oil is one of the best oils available to use in hot oil treatments for deep conditioning. It also helps to control dandruff and prevent hair loss, as well as being used as a treatment for lice. Olive oil also promotes healthy hair growth by unblocking pores and stimulating the circulation of blood around the scalp. Cancer – The high levels of antioxidants in olive oil can help prevent forms of cancer caused by oxidative stress. Those with more antioxidants in their diets have been shown to have lowered chances of getting many forms of cancer, including skin cancer. Inflammation – Olive oil has anti-inflammatory properties, and helps to reduce inflammation used both internally and externally. 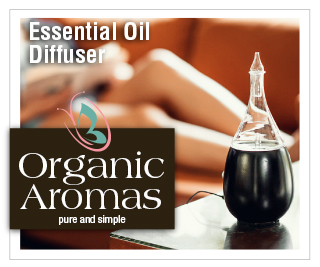 It is excellent as a base oil for aromatherapy products designed to relieve pain and inflammation.